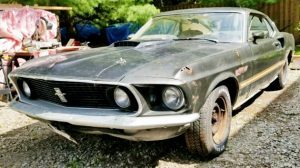 To the Barn Finds community: I’m posting my own “Exclusive” for the first time on behalf of a friend who has over 10 acres of cars, trucks, and motorcycles on his property. 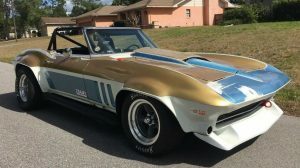 I am helping him with moving some of his long-stored inventory in the hopes of selling vehicles along to owners who can use the parts or are looking for a restoration project. In the interest of a disclaimer, I will be handling initial inquiries for the owner and connecting parties with a specific interest in order to cut down on the proverbial “tire kickers” that inevitably come out of the woodwork. Read on for more information. The owner is not a salvage yard; he is a retired individual who has collected vehicles for several decades, in all types of condition. Some are runners, some are projects and others are parts cars. Vehicles like this 1955 Chevy pickup is a running/driving truck, with its original “Blue Flame” powerplant as well as a new carburetor and fuel pump. This is one of several vintage trucks in the collection, which also includes a mildly restored 1964 Ford F100 with a 302/automatic, a highly original 1949 Willys Jeep and a Dodge panel van with a 318. Pricing a collection like this is a huge undertaking, so negotiations will be between potential buyers and the seller directly. There is also a large variety of air-cooled VWs. This is just one section of worthwhile parts cars, or potential restoration projects if you’re feeling ambitious. There’s a Karmann-Ghia convertible in the mix and several Buses. One of the more intriguing projects can be seen in the next photo. 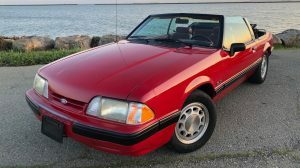 Other imports of note include a rare one-year-only “Pirelli” edition 1986 VW Jetta, several Honda CRXs, a 1980s Dodge Challenger, several Datsun 240/260Zs, a 1985 Toyota Celica GT-S notchback, Fiat X1/9, Saab 9-6 and even a Suzuki LJ80. I considered a 1984 BMW 735i long and hard before I thought about what my wife would I say if i dragged it home. 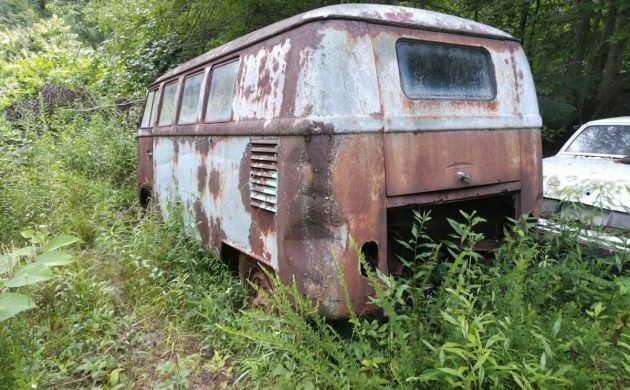 This split-window VW Bus is one of the more tempting projects. It is rusty and there’s no motor, but we all know passions are running high for the early Buses at the moment. There’s a few other potential Bus projects in the mix, including a later example with sound bodywork and supposedly a hot-rodded motor, as well as another early split-window that is either a genuine pick-up body or a conversion performed outside of the factory. There’s also a stand-alone cab section with chassis and the desirable chrome bumper. The owner is willing to put together a package deal for more than one vehicle. This Dodge Panel van was one of my favorites in the collection, but a few other highlights include the 1963 Cadillac limo in the background, painted pink in a possible homage to the Elvis-owned limo or it’s possibly a former museum exhibit. The top photo shows a 1962 Chevrolet Impala SS, and other vintage American projects include a 1960 Ford Fairlane 500, a 1970 Mercury Comet, an early 80s Chevy C10 diesel, a 1957 Buick and a Wranger Jeans promotion go-cart with a Chevy “shorty” van body! 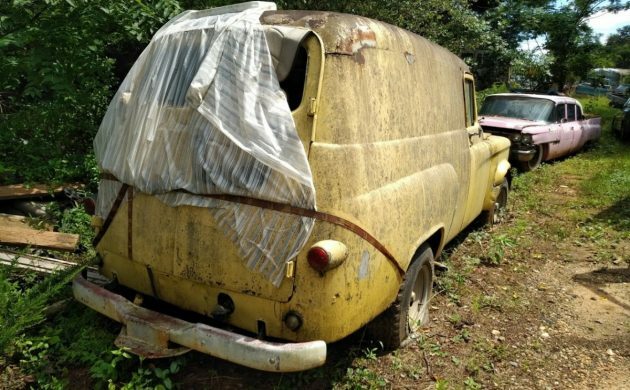 There’s also a very rare 1960s Ford Econoline camper conversion way in the back of the property that is likely quite rare at this point. 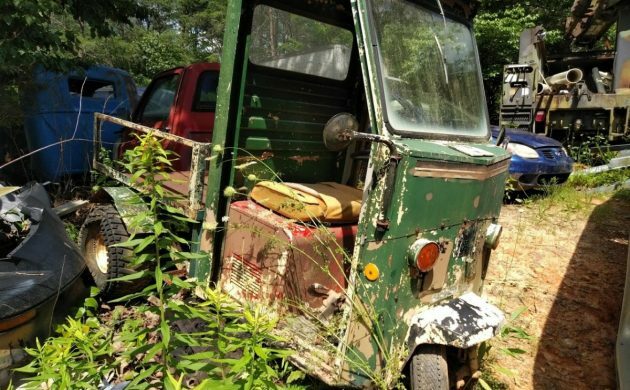 There’s even an old Cushman three-wheeler in the mix, showing you the wide variety of vehicles up for grabs. I hope our readers understand this is a private individual whose property is not open for tours. Respectfully, I would ask that any inquires be about specific vehicles shown here. I will be making return visits to capture more photos, but for now, let’s keep it as simple as possible and focus on this first batch. Additional photo requests / questions about specific vehicles are welcome and I will do my best to get back to you as soon as I can. Finally, if you know of the location based on the photos seen here, please do not post the address in the comments (it will be removed). Thanks. 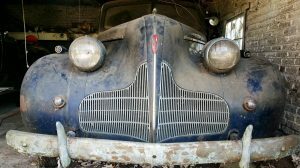 If you have a classic that needs a new home and would like to sell it here on Barn Finds, you can read more about getting it listed here! It sure would be a great place to kick around in for sure. Curios about the comment on blue 55 truck. 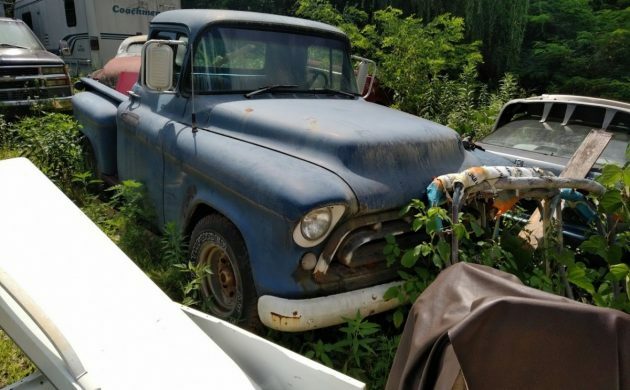 ‘1955 Chevy pickup is a running/driving truck’. Looks like you could drive it one foot, in reverse. That ’55 looks better than a lot of cars I see around town. However, It doesn’t look like it has moved in at least a couple years. I don’t want or need any of this stuff. I just wanted to commend you for knowing that the plural of “bus” is “buses”, not “busses”. Busses from the Grammar Police to you, too! LOL. A commonly misspelled word. The jr. high by the house has a “Busses Only” driveway. I’d love to spend a day walking those grounds. Unfortunately, many of the vehicles are too far gone, but at the same time, there are many promising projects. I hope this liquidation goes smoothly for the Seller and his friend. Hopefully, there’s enough to be saved and enjoyed by others. Yes, but modded with deluxe trim somewhere in time. Trucks never came with trim. That looks like a serious project, but now days almost nothing is beyond repair. I’m sure someone from TheSamba is already on their way to try and snag it. Having spent most of my life in Georgia, I have seen things like this a few times. Even so, I will never understand how a “collection” like this happens. A word to the wise: make the seller move any potential purchase out of the woods and onto pavement before letting any money change hands. There are a few with potential and a lot of parts only cars. Fiat X1/9s seemingly rusted on the showroom floors; I shudder to think of what the underside of that one looks like. I’ve seen many collections similar to this one, both here and in Europe, they are a lot of fun to walk around in and look but unfortunately, they tend to ultimately yield only a tiny handful of worthwhile projects or even useful parts vehicles. Great fun to get lost in and dream though. The blue Chevy may be a ‘55 2nd series but the grill says ‘57. The VW truck is factory… It’s an original DoKa (doppel kabine) and very collectible. Oh….my….This place is dangerously close to me. So much fun stuff to start my own yard. Sad that many are up to their door sills I terra firma. Too many ‘wants’ here. That is a 1957 grill in the that blue truck, 1955’s don’t look anything like that. The Impala looks solid. The Lake Pipes on the Impala date the last time the car was likely running in the 70s. The Dodge van looks good too. I miss Cober’s in Jersey!! Having recently completed on of these, at some point you are going to need to decide if you want to clear out the junk, or make top dollar. 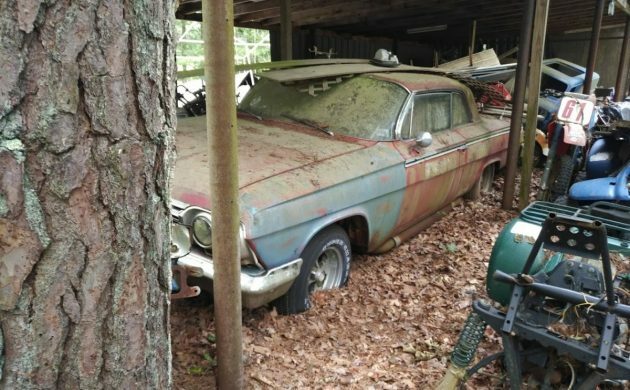 Buyers are there, but for a fraction of barn find prices (like 10%). If it is a live offer take it. Once the buyer walks out it is hard to get them back, even at a reduced price. At some point the buyers just peter out and the scrapping begins. I still am amazed at what I scrapped. Oh well. I’m not sure I’m happy about this I see it all the time . I just went to see a (collection”) in Sonoma same as we have here . Mostly running cars when they arrived and all the ( collector ) has really done is taken a cool old vehicle out of circulation and committed it to death out of the 200 cars maybe 2-3 I would take on ! Depends on your definition. I bought my 1981 Toyota HiAce out of this collection. It is a virtually extinct vehicle that just needed an injection pump to get running. Drive it every day. If this individual hadn’t grabbed it, the previous owner was sending it to the scrap pile as they had no idea what it was. Depends on your point of view, I guess. When you have this many vehicles, it might be a good idea to make a list of what you THINK you have. Lots of interesting pics, but who the hell makes offers based on pictures of salvage vehicles? 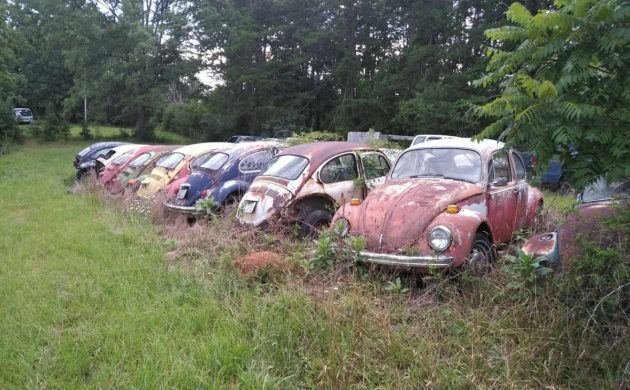 Might take 3 of those Beetles to make a decent one. And of course, the guy doesn’t want you to know where he is, and expects Top Dollar. I’m only 3 hours from GA, and might find a project in there, but if I don’t know where he is and he doesn’t want anyone on his property, this makes things quite difficult. Henry, I understand your frustrations. But please bear in mind this is not an easy decision for the individual. There’s no simple way to clear out 30 years of vehicles, on private property. Unfortunately, too many “treasure seekers” over the years have made individuals who own these collections extremely reticent to open the proverbial floodgates. I get it. I don’t want anyone on my postage-stamp suburbia lot who shouldn’t be there; I can only imagine what it’s like to know you can’t have eyes everywhere, especially when the property in question has things people want. This is not going to be one-and-done. I will be making multiple visits. In addition, as we learn which vehicles people are truly interested in, I will perform extensive documentation and create dedicated posts to that one or cars in question. Hope this works for everyone. Let’s all just be grateful this collection is getting the chance to live on, in some form or another. I would think moving the cars, as in lining them up close to each other, would be the first move. That way people can look at them and theft would be reduced. You would be able to keep an eye on them easier if the distance between them was reduced. Miguel, this is spread across 10+ acres. Would be nice but it’s not going to happen overnight. I would be interested in a price on the 55 truck. The 1949 Prairie Schooner Trailer is one of the more interesting items there. 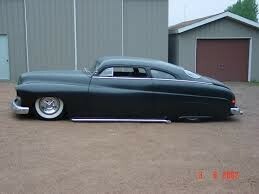 Yeah I am curious about the 62 Chevy Impala/belair/biscayne with the lake pipes. Please tell us more. Hi guys. Please use the form to contact me so I can keep track of the inquiries in one place. Thanks! Cars in Georgia rust—and rust bad.. poor storage-regardless of the defensive statements and high-falutin thoughts of values on these cars-it’s largely a parts stash. Poor storage condition -(again) and lofty thoughts on values.. author-to be fair-post the actual asking prices of what you’ve listed so as to not waste anyone’s dream time. John, I am working on prices with the seller as inquiries come in. This is an incremental process with someone who has held onto these cars for many, many years. I know, you’ve heard it all before…trust me, I get it. But I’m also trying to be respectful of his time and space and therefore am following up on specific cars folks inquire about. I’m hoping we can start breaking them out individually in future posts. Thanks for the interest. I’m clearly showing the VW water cooled fan I am…. but I so want the Pirelli wheels off the Jetta… I WANT I WANT I WANT!!!!!! They would look so pretty on my ‘83 GTI. Anyone know from just the side shot if that Audi is a turbo/5? I may have interest in the CRXs and Celica please get me some more info. Man what a collection. Back in 98, my Father and I undertook a project very much like this one for the widow of a Family Friend Charlie Hutchins from Farmington. He not only had a large collections of running cars and trucks in town, but his main work area was on a 40+ acre farm outside of town. After Charlie passed away suddenly (had a heart attack at the farm working on a car) His wife had people or blood sucker coming out of the wood work trying to buy cheap everything he had. She asked us to help her and I cataloged cars and trucks and parts and piece for nearly 3 month solid, I knew he had a lot of parts, because I would go to he for hard to find stuff when I was working on the 54 Chevy 110 I restored for Mom and Dad, But anyway after we had everything in the book, we helped her to auction the items off with a well known auctioneer, and when it was all said and done with she received nearly 600K. Good Luck! I wrote an email in the form and never got a response as of yet.